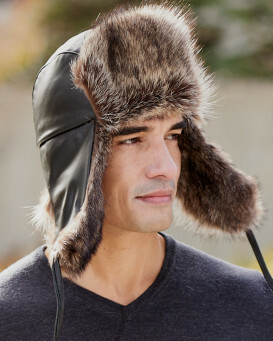 Our Sheepskin aviator hats are designed for those who appreciate quality and fashion. Stand out from ordinary, impress your friends, and turn heads on the street wearing any of these unique hats. Made with superior quality materials and tasteful design with acute attention to detail. Aviator hats are designed to be worn with the ear flaps down but look just as good when neatly snapped up or tied at the back or top of the crown. 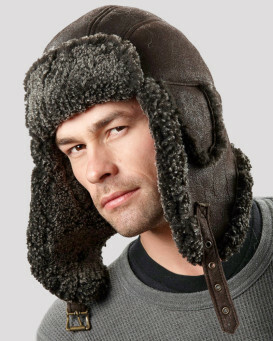 "Always wanted a hat that would last me at least 10-15 years that was warm and awesome at the same time. This one has the potential to do just that the build quality is great and the fit is pretty spot on. I measured out my head according to the guide and went with a extra large as my head was pretty much 23 3/4 or a tad smaller. Its tight but not bad plus it will probably stretch a bit. As it sets now it fits perfectly and the ear flaps are just rite to the point I doubt I will ever need to buckle them down. But as some reviews noted the buckle for the ear flaps is not really ever gonna get tight its just their to keep them from flapping in the wind. Yes velcro would work better but I think it would destroy the character of the hat so the brass buckle is fine." 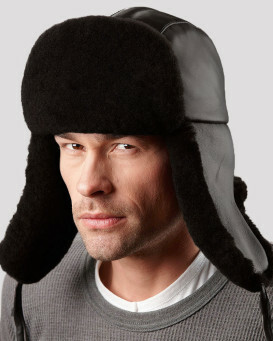 "I purchased the Beaver Hat in anticipation of a cold winter ski season. My go to ski area is located on top of the great divide at about 13000 ft. Great snow but very cold and windy. It is important to me to have a warm head and neck so as to concentrate on navigating the pow pow. This hat was easy to order, came when they estimated, and was packaged really well. It fit perfectly and i really like the simplicity of design. Seems to be of great quality. Much lighter than i had imagined which is a good thing. Great stitching and really comfortable. I can't wait to use it at altitude! I really like this product and dig the fact that it is Canadian. (they can handle the cold) I would submit the maximum rating on all points." 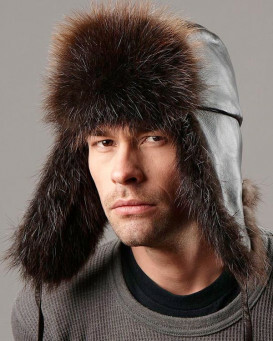 "I took advantage of the liquidation sale to purchase the Swiss Alps beaver fur hat, aviator style. I'm impressed by the light weight, the softness of the fur and the leather. Shipping was professional and prompt. Looking forward to wearing it on the golf course on those cold, windy days." "Phenomenal hat. Nice and warm. Sizing is right on target. This is very well made. I ordered the expedited shipping. It got to me the very next day. Unbelievable. I will definitely buy from this company again. I also bought the Fudd Hat as another reviewer "Barry" did. That hat too is awesome. Looks real good and is nice and warm." 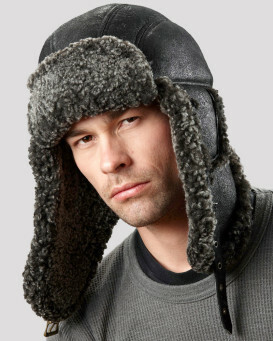 "This is a beautifully crafted hat. I bought it as a gift for my husband and he loves it. It fit him exactly right, is comfortable and keeping him warm in these very cold days. The fur is beautiful and the leather supple." Based on 233 customer reviews.